So many sales opportunities are lost due to ineffective follow up with leads who were engaged early in their buying cycle. It is crucial to stay in touch with prospects from beginning to end by presenting appropriate information and resources along the way based on where those leads are in the sales funnel. Drip Marketing involves categorizing your base of leads by their perceived level of engagement and place in the sales funnel, and then targeting each with specific messages appropriate to where they are in the buying cycle. While email marketing is typically employed, other channels work as well such as Social Media and direct mail, depending on your audience. The challenge is to make this automated series of contacts feel tailored to the individual recipient, which is no easy task. Your business may be targeting multiple segments and customer types like start-ups and enterprise, commercial and residential, and obviously the same message won’t work for all of them. Your Drip Marketing campaign will also need to be sensitive to triggers alerting you to a change in the lead’s behavior, and then be capable of modifying the flow of messages to address this new stage in prospect development. Throughout the process your email messaging should be focused on keeping your brand in front of your leads, enticing them to engage with you, even before they are ready to commit to a purchase. And, once you’ve been successful in landing the sale, it’s wise to continue a Drip campaign to guide that customer through the initial set-up phase or some other instructional process, and then on to maintain a high level of customer service and generate up-sells via scheduled check-in email messages. Lead Nurturing encompasses the overall brand awareness and educational aspects of your outreach well before customer is ready to make a purchase. Getting targets to subscribe to your newsletter is usually easier than getting them to take a sales appointment and you need to treat leads at the less-ready-to-buy stages much differently than those willing to hear a pitch. Like with a Drip Marketing campaign, email correspondence is important here but should be supplemented with Social Media engagement and some well-timed telephone check-ins from your sales or support team, especially when there appears to be an uptick in activity related to email opens and click-throughs. The emphasis should continue to be on providing your leads with content that will educate them about your products and services, all the while explaining the core values of your brand. Lead Nurturing can be a long labor of love but the prospect that has consumed your materials and become a brand advocate before making the first purchase is much more likely to become a customer-for-life. And How Do They Relate to Lead Generation? 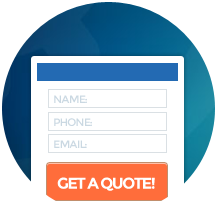 If you’re looking to fuel sales pipelines and increase bottom line revenue, contact LeadGeneration.com today.